The digital marketing landscape is a field with great breadth and depth. 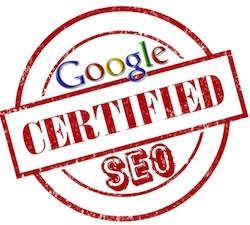 For those who are not trained, or do not work with an SEO company already can have a very difficult time understanding and applying these techniques, It is also for this reason, unfortunately, that there are so many digital marketing companies that will take your money, give you false promises, and not delivery anything that was agreed upon. Digital Marketing is an investment. Results from digital campaigns do not happen over night, and it can take between 3 and 6 months before a campaign starts scaling up and provides an acceptable ROI. As a result, setting the right expectations is very important. An SEO expert company will never claim to be able to get you ranking on the first page of google in a month, or make unwieldy promises. If it sounds too good to be true, it probably is, and a legitimate SEO company worth their weight will properly convey and set reasonable expectations for a campaign. Your business is your most important asset. You wouldn’t want to have your house build on faulty land and constructed poorly just to save a few dollars, and this is the same ideology that needs to be taken into account when beginning SEO services. If you contract a discount company to perform a digital campaign, not only will you see poor results, but they could even damage your brand and online reputation. To put it simply, SEO is an important investment for your business, and you need to invest wisely, not cheaply.